This expanded and updated 6th edition of the IMPP includes the planning paradigms and practices in 135 countries worldwide. The book is a compendium on planning to practising planners in both the public and the private sector, as well as to other built environment professionals. It also constitutes a reference book for academics and students and provides basic information for planners, developers and investors who intend to operate in countries beyond their own. 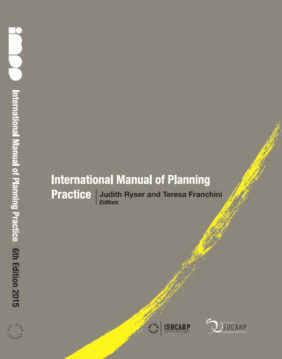 Besides a succinct background on each country and its planning system, the focus of the Manual is on planning practice. The format is a small book with summary pages of each country and an incorporated USB card with the country profiles as part of this publication.